Entrepreneur? Great. Do You Have a Financial Plan? Entrepreneurs invest great attention in their innovative ideas and business plans – but often fail to apply this same spirit to their company’s financial security. Ultimately, poor financial planning can be just as catastrophic as poor product design or an ill-conceived marketing strategy. Entrepreneurship is a creative activity – and can be immensely satisfying and financially rewarding. Attention to the financial details is crucial to the success of your business, though. Rollins Financial wants to help you grow your business – by putting it on sound financial footing. As an entrepreneur, regardless of your passion, you are laser-focused on success in a way that someone who isn’t simply doesn’t understand. Many entrepreneurs value attention to detail above all else when it comes to the business plans and the companies they are trying to grow but fail to apply these same standards when putting their companies on sound financial footing. Ultimately, poor financial planning can be just as catastrophic as poor product design or an ill-conceived marketing strategy. The expert advisors of Rollins Financial will work diligently and transparently with you to help you achieve your goals. We know financial planning isn’t the most engaging part of growing a small business, that is where we can help. A common mistake for entrepreneurs is failing to shield their personal assets from creditors of their business. According to Bloomberg, 8 out of 10 entrepreneurs who start small businesses fail within the first two years. Sound financial planning always carves out a niche of financial security for you and your family, regardless of what happens to your business. Just as business executives shouldn’t allow all of their retirement savings to be bound up in company stock, small business owners should ensure that their personal financial portfolio is diversified enough to survive unforeseen difficulties for their business. How Should You Organize Your Business? Choosing the proper organizational structure is a crucial first step. Should you organize your business as an S corp or a limited liability corporation (LLC)? Both will protect personal assets from creditors, but there are significant tax implications of this decision, and the law differs from state to state. An LLC is a “pass-through entity.” All income and expenses of the business are reported on the owner’s personal income taxes. LLCs are easy and inexpensive to create; because they are less regulated owners will spend less on accounting and attorney’s fees. LLC owners, however, must pay self-employment tax on business revenues. Also, if you don’t exercise diligence in adequately shielding business transactions from your personal affairs, you run the risk of losing the personal liability protection of the LLC. S corp owners pay themselves a salary and may get dividends from additional profits. The advantage here is that dividends are taxed at lower rates than income, which can result in significant tax savings. S corps are also more agile for purposes of providing benefits packages for employees. S corp owners may be able to attract new talent by providing retirement benefits, such as 401(k) plans for their employees. Many entrepreneurs make the mistake of reinvesting everything, financially and emotionally, in their businesses. It is imperative to take steps to maintain their lifestyle in retirement. At Rollins Financial, we’ve seen plenty of entrepreneurs with million dollar companies that have two-bit retirement strategies. Lack of personal savings isn’t the only pitfall for overeager entrepreneurs – many businesses fail due to a lack of sufficient working capital in a rainy-day fund or because too much cash is kept in the business without a concern for shielding it from litigation. Strategies for managing your business capital will be influenced by how stable your income streams are. An IT company that bills quarterly will have more flexibility than a business that bills on a project basis or relies on sporadic income such as real estate commissions. Rollins Financial is a true Fee-Only financial advisor. We are fiduciaries for our clients – we have a legal and ethical responsibility to pursue your best interests. 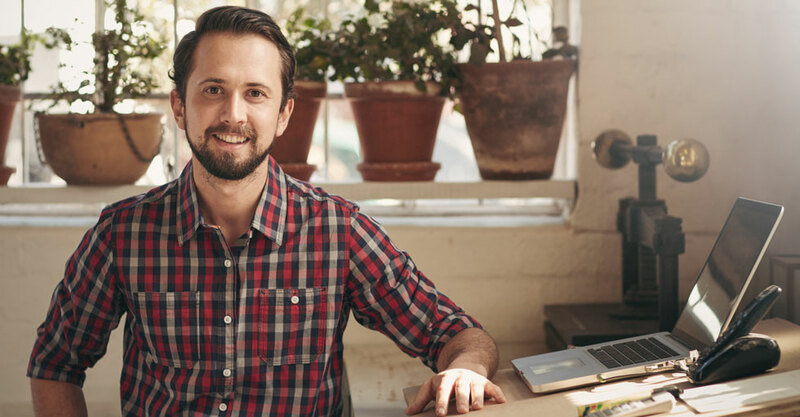 We know financial planning isn’t the most engaging part of growing a small business, but when you see how appropriate choices can lead to growth and success for your small business, we think you will be excited about committing to the process. Q: Do I really need a financial plan for my new business? A: Attention to the financial details is crucial to the success of your business. Many entrepreneurs value attention to detail above all else when it comes to the business plans and the companies they are trying to grow, but fail to apply these same standards when putting their companies on sound financial footing. Q: As an Entrepreneur, how much should I be reinvesting into my business? A: Sound financial planning always carves out a niche of financial security for you and your family, regardless of what happens to your business. Many entrepreneurs make the mistake of reinvesting everything, financially and emotionally, in their businesses. It is imperative to take steps to maintain your financial lifestyle after retirement. Q: Should I organize my business as a Limited Liability Corporation (LLC) or S Corp? A: As an entrepreneur, this is a crucial step in establishing your business. Both an LLC and an S Corp will protect personal assets from creditors, but there are significant tax implications of this decision, and the law differs from state to state. We are fiduciaries for our clients – we have a legal and ethical responsibility to pursue your best interests. CNBC’s recognition is a great honor to our firm. It reflects our dedication to providing such a high level of expertise to our clients along with exceptional service. © 2017 Rollins Financial, Inc.